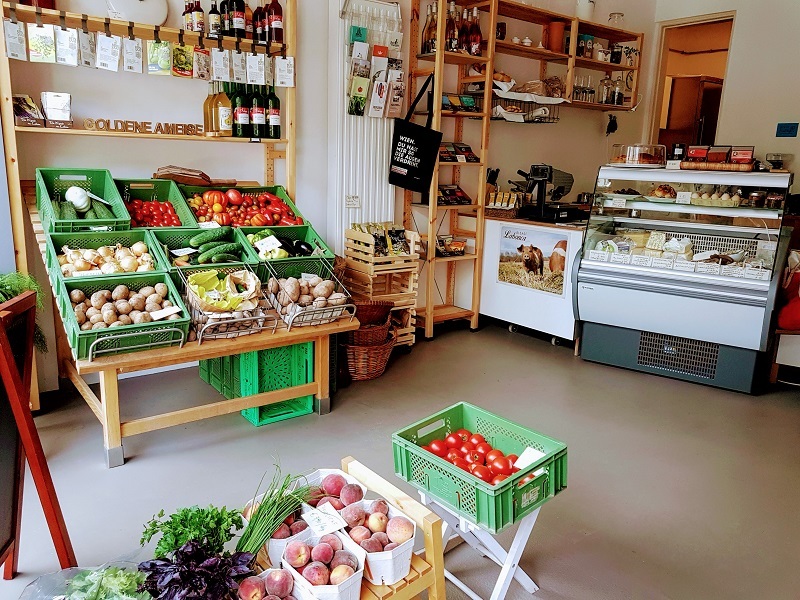 Margit Ulm has fulfilled herself a lifelong dream with her Grocery store The Golden Ant. 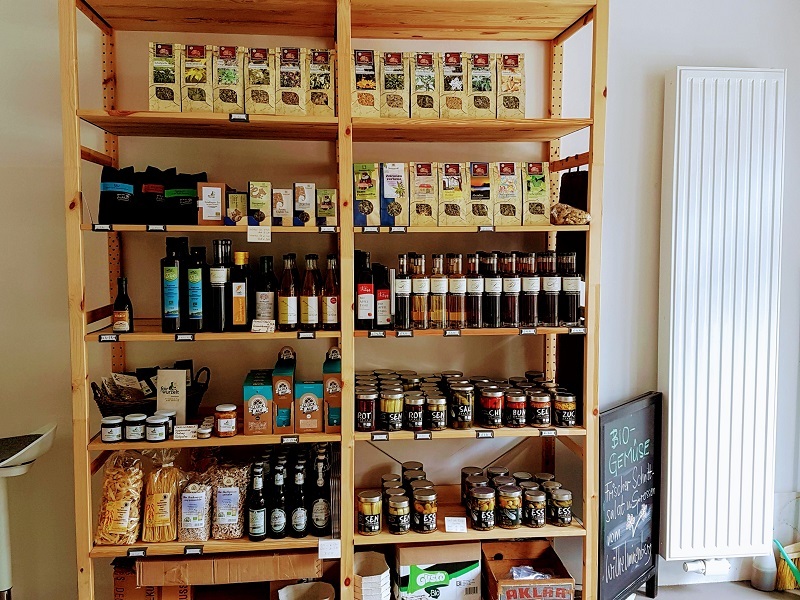 And so here in the 17th district we can now enjoy a lovingly run business with great local organic products, excellent home-cooked lunch and a delicious coffee. 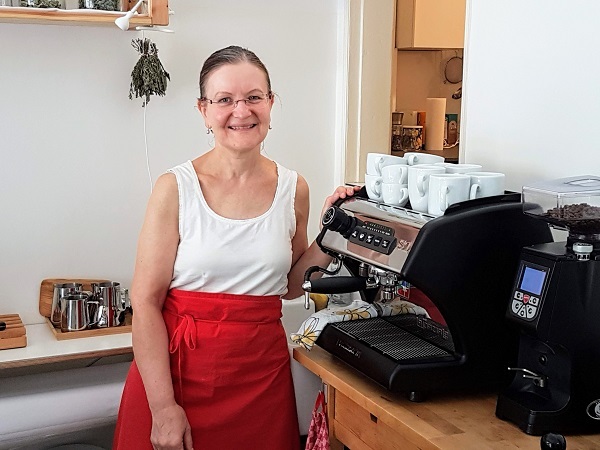 I have become a regular customer and so I asked Margit to tell you more about her business and herself. 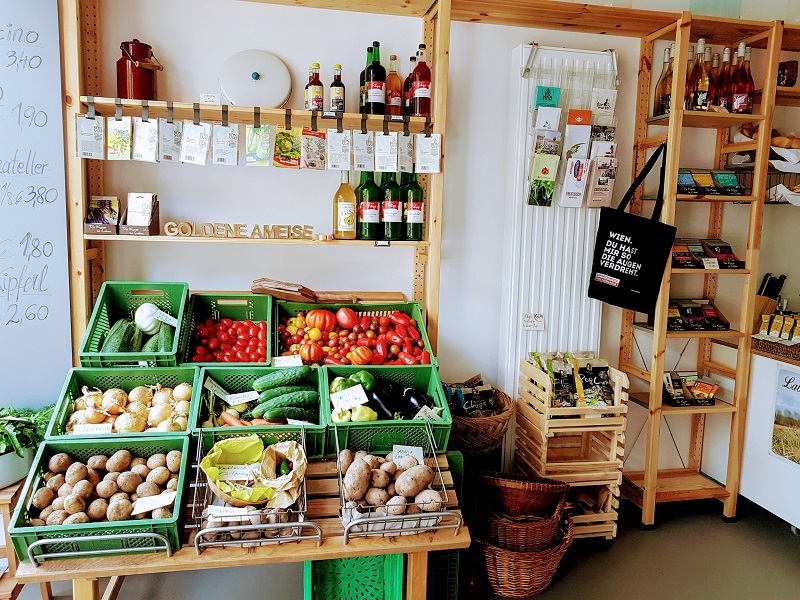 I have a small grocery store, 50sqm, 2 rooms where I have set myself the goal of selling as possible regional, organic and fair trade products. I'm looking for rather small producers from nearby, as far as possible, because it is important to me that the producers get a fair price. In the wholesale business, unfortunately, it is often the case that the prices are very depressed and the producers often come under pressure to produce the appropriate funds. Fortunately, there is already a movement that works against this. And I support this with my business here as well. Above all, I want to support that also the lovingly produced food will be upgraded. Actually, it is true that today we spend much less on food compared to 50 years ago. It's simply because this mass production was created and of course we all got used to the fact that now everything has to be cheap. In reality, that does not correspond to the true value of things, especially not for the producers. What is so special about your shop? I offer many things, especially from small producers, that you do not get everywhere and not in every supermarket and therefore falls a bit out of line. As for example, the wine from organic farmer Vogl from the Weinviertel. You do not get it in the supermarket and not at Denns, so not in the organic supermarket. And that is a special product that you get only with me and in some other small grocery stores or health food stores. For me, these are selected products, I also know many of the producers personally. That's my concern, even if it's not always possible. As for the cheese, I have some suppliers that I do not know personally, because I get them about the organic wholesaling. I have many plans to expand the range, bring in new things and also adapt my offer. How did you come up with the idea of ​​producing exactly this product / offering this service? 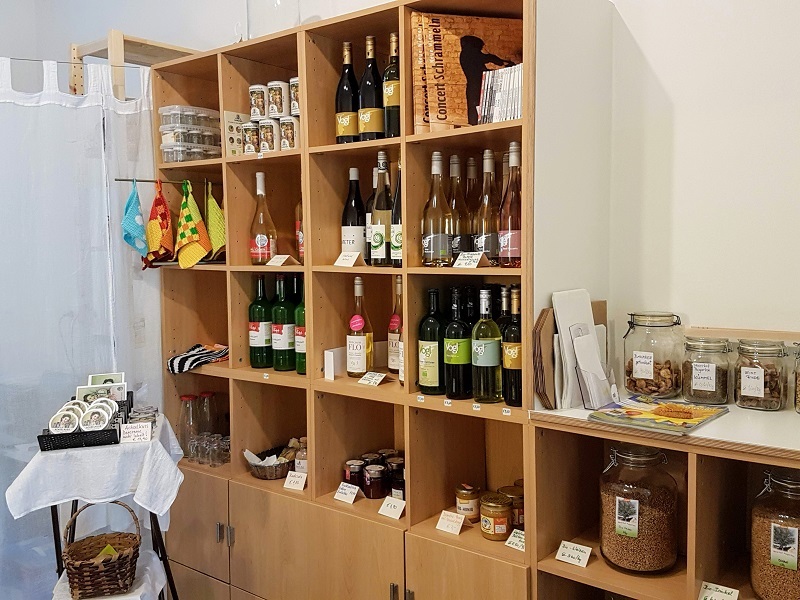 For a long time I had the wish to have a small cafe or a small shop, especially because I had a gastronomic education in my youth. The whole thing then became concrete through my membership in the Foodcoop 1Korn, where I was a member for the last 4 years. Therefore, by the way, I also got to know Stephanie. In the Foocoop I had taken over some tasks such as vegetable order, Waagendienst (delivery of goods), go to certain producers, the food trips, .. I liked all this so much and that's how the idea came up, why not open a grocery store with a little bit of gastronomy. I have been living in Vienna for so long. Actually, I was born in Styria, but I went to Vienna right after graduation, because my sister already lived in Vienna and then we also lived together. I am already 38 years in Vienna. And for the shop I wanted to open it in my neighborhood or nearby, because I live only a few minutes from here. It was also important to me that I did not have a long way to work. And here there is nothing comparable in the immediate vicinity, which has such an offer as I have now and therefore I thought, I look around here. And Vienna is a great city anyway. Is there something special abou the location of your shop? There is a special story I like very much. I discovered the place at the end of February 2017. It was empty, was not renovated, nothing at all and in the display was just the number of a real estate office that this place is to rent. All in all there were 3 places available in the area that interested me. And I called all three offices, 3 different ones, and asked if the shops are still free. And all 3 told me "Sorry not available anymore". This one too. At the end of April I go back and there was still the number from the real estate office. So I called again at the end of April and they told me that it is still free and so I came in contact with the owner of the house. A young man, who recently took it over from his grandmother. He liked the idea of a grocery store very much. 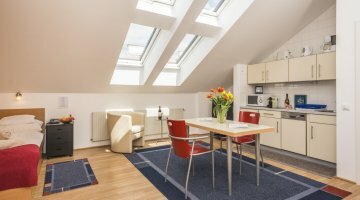 With the renovation, it took longer than expected, as everything had to be completely refurbished. I opened in February 2018. It was already planned earlier. And at the signing of the contract, the owner tells me, "... you know now I have to confess to you that I did not really want to renovate the shop. But because I liked the idea of the grocery store so much and you were so persistent, I renovated it and rented it to you. "It was not his plan, since he already had so many construction sites. And I'm very grateful to him for doing it anyway. I like it very much and it was the right choice. How did you come up with the name "The Golden Ant"? That was also a story, that's what I dreamed. I already knew that I would open a store, but not so specific. 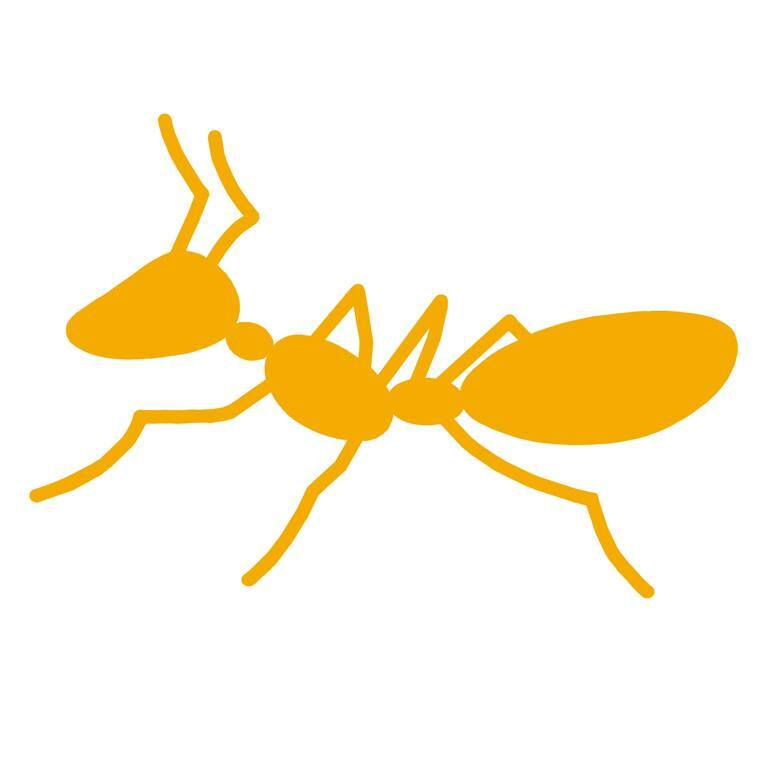 And one night I had such a clear dream that my shop will be called "The Golden Ant". And if you remember a dream so totally clear, then I thought, I'll just take it now. Where is The Golden Ant located? I came to Vienna study here and because of course the possibilities in Vienna are very good. The education possibilities, living, at that time also the living was cheaper in Vienna. And because there is so much culture and so many possibilities. You can do everything in this city, it has a high quality of life, there is a lot of green and even in summer it is simply beautiful in the city. I do not drive away in the summer, because Vienna is just so amazing. If you want to do something, there are endless possibilities. So the first years in Vienna, I can remember, we were always on the road. Discovering local places, enjoying long nights out, walking home on foot. Until we got on the bike. And that too is a quality that the bike paths through the city have improved and there is now a great network of cycle paths. 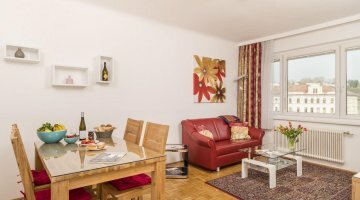 Vienna simply has a great quality of life. Oh, that's not so easy. What I find so exciting in Vienna, there is this whole official so from Schönbrunn to the well-known museums, you look at when you come here as a tourist certainly, that's clear, these are the mandatory places. But there are some also so many very special corners. Years ago there was a guide from Falter Verlag, "Vienna different" I think that’s what is was called. There were all these insider tips inside. When I came to Vienna, we went to those places a lot, for example the St. Marx cemetery in the 11th district. The Viennese are said to have a special relationship to death, a bit of a depressive mood and at the same time celebrate death. This is often expressed in the Wienerlied. And this cemetery is incredible. He is already closed, there are no new graves left. You can walk through the cemetery and see the old graves, how everything has already grown over. That's a very special mood. That would be such a tip, away from the usual sights. Especially when you come to Vienna in autumn or around All Saints Day, that's something special. But there are many other things. My current favorite place is my garden. I have an flat with a 100sqm garden. Especially now in the summer, when I'm in the shop a lot, it's just great. I used to live in the city center and with age I felt the need for more green, because I come from the countryside. In the past, I did not care, because I was glad that I had the city very close, because the green was not important to me, with which I grew up anyway. But as you get older, you come back to the origins. I have now for several years my very own green paradise. And living here in the suburbs is ideal. You are quickly in the city by public transport and at the same time you are already further out. You're just out in the country and that's also a quality here, that you do not have to go somewhere far away, if you want to get out into the countryside. 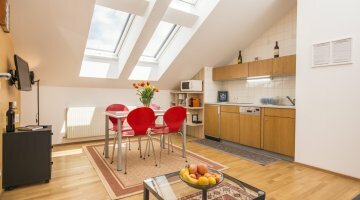 You are there immediately, but also with the subway or with the 43er in 20 minutes in the city center. That's great. ﻿Lately, I do not go much in restaurants and many places where I used to be a lot do not exist anymore. But a nice place I like very much is an inn right on the Gürtel. It's called "Zum goldenen Pelikan" (Weinhaus Sittl), right at the end of Neulerchenfelderstraße. And they have a beautiful little garden inside with a big plane tree and this is still such an old Pawlatschenhaus. Pawlatschen are these exterior accesses to the apartments. You go there like a balcony outside to the individual apartment entrances. This is really a very nice inn, as natural as it was before. What is also a wonderful place, if you want to go to the wine tavern, the "wine tavern to the blue nose" (Weinschenke zur blauen Nos’n), also an insider tip, in the Johann Staud street. It has a beautiful garden, you go in and you think you are in the countryside.